The welcoming, friendly people at Trentham Camp Golf Club are what make the club so special. As well as enjoying the game of golf together, members also enjoy socialising in the clubhouse after their game and at various social events. The club caters towards everyone: men, ladies, and juniors. Golfers of all ages and abilities can play together on club-days. Just put your name on the start sheet and you will be guaranteed good company and an enjoyable game of golf. 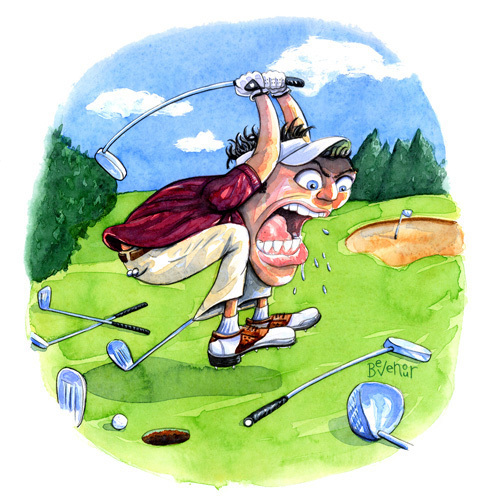 If you are interested in representing the club in an interclub team, please contact Mike Jensen. Trentham Camp Golf Club is a perfect location to hold your corporate event. Whether you would like to bring your group for a round of golf or just hold use our facilities and clubhouse, we can cater for you! Our stunning course can be hired out so you have the place to yourself. Follow your round with a drink and delicious food in our clubhouse which seats 144. A casual BBQ on the deck is another option you may enjoy! The Clubhouse can also be hired as a venue for conferences with or without catering as necessary. A practice fairway (located next to the 8th hole) is available for all club members to use and practice on. There are two practice putting greens - one located next to the 1st tee and another in the carpark. Practice nets are also located in the car-park. 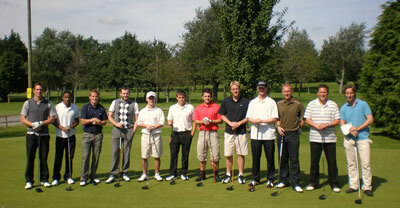 Trentham Camp Golf Club welcomes new junior players. We support our junior players players and will actively assist in developing their game and providing ample opportunity. Club Days are a great way to make friends and play with different people. Often, a different style of competition is held every week. Club Days are held on Tuesday, Friday and Sunday. Located by the door outside the Bunker Bar, this is where you should enter your name beside the time that you wish to tee off during the following week’s Club Day. First in gets the first choice at a tee time, so be sure to put your name on the start sheet early! Please ring to have your name removed from the Start Sheet if you are unable to play on the day, as someone else might want your spot. If you wish, you can enter the Club Day Haggle, which is a competition run among the various divisions, so you’re not up against a low handicap player. It costs $3 to enter the "haggle" and there is also a “Twos” and "2 * Twos" competition for another $2 & $1 respectively. People of all membership categories are invited to join our weekly Friday Group; tee off times are between 8.30 and 9.15AM. Enter the haggle in the Bunker Bar before your game. The Trentham Ladies are a small and and friendly group of enthusiastic golfers who not only support our Club programme but participate in local Club competitions and District events. You enter your name if interested in playing in these club competitions on the start sheet which is posted on the noticeboard in the main hallway. There are some exceptions but refer to your club programme for the type of competitions. The ladies LGU medal rounds are held 11 times a year and to enter this there is a sheet in the ladies locker room. You get to play with your handicap group in this competition. We have joined forces with the Wainuiomata Ladies and formed a joint Interclub Team. $10.00 to join and this competition is for women over 55 years of age. There is a nominal green fee for each game (towards host club green fees and prizes). Games are played on a monthly basis during the week, with a District event at the end of the year. Ladies meet for various golfing and social gatherings and are actively involved in the club's activities and development programmes.